Celtics legend and longtime team broadcaster Tommy Heinsohn has been known to be brutally honest when he doesn't believe players are in great physical shape. He raised some eyebrows recently when he directed such comments toward Kyrie Irving. Well, Danny Ainge is here to tell you that the whole thing isn't that big of a deal. The Celtics president of basketball ops addressed his comments and Kyrie's response during his weekly interview with 98.5 The Sports Hub's Toucher & Rich, which you can hear in the player above. What'd he think of Tommy and Kyrie's back-and-forth? "I thought it was great," said Ainge. "I thought Kyrie handled it perfectly, and it was great. Kyrie came up to me maybe three weeks ago, and just felt like that was something he needed to do. He needed to just get in great tip-top shape. He wasn’t in bad shape, he looked like our best player throughout training camp. But it’s a different level of conditioning when you’re a top-line scorer in the NBA. Scoring is more wear-and-tear than anything in the NBA." On a follow-up question, Ainge added: "I think Kyrie was partly tongue-in-cheek [when he responded]. I think he felt like he needed to get in better shape well before Tommy made those comments." ???? After the game, @KyrieIrving gave Tommy Heinsohn a shoutout for getting him into shape. Here's why: ???? 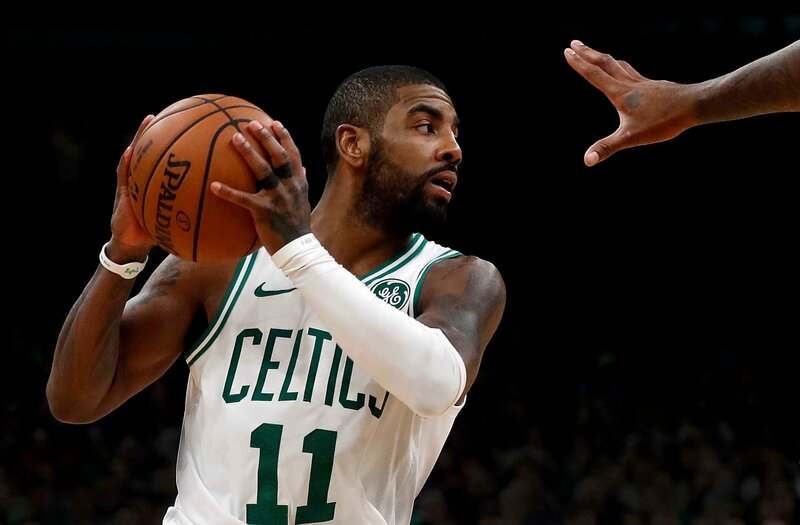 Kyrie scored a season-high 31 points (10-for-16 shooting) to go with five rebounds and five assists in his monster effort. Seems like he's getting into game shape now, and all is well in the Celtics universe.